The UBC men’s basketball team returns home from the U Sports Final 8 the fifth best team in the country. After a devastating first-round loss to the Dalhousie Tigers, the tournament’s Halifax host, the ’Birds closed out their season with back-to-back victories to pick up the consolation final win on March 10. Despite finishing the event on the losing side of the bracket, this is anything but a lost season for the team. The Thunderbirds entered this season effectively a brand-new team — one that was missing the majority of their starting rotation following a stellar grad class at the end of spring 2018. With such a young roster, the starting lineup by the midpoint of the season had just one member that had been with the team for more than a year — now-graduating senior Patrick Simon. Alongside him were a pair of sophomores — Grant Shephard and Mason Bourcier — and a pair of former NCAA Division I players in Jadon Cohee and Manroop Clair. Defying all expectations, this UBC squad posted a stellar regular season, finishing with a 17-3 record in Canada West. Though they entered the post-season third in Canada West, they downed the Alberta Golden Bears in the Canada West semifinal to secure a berth at nationals. 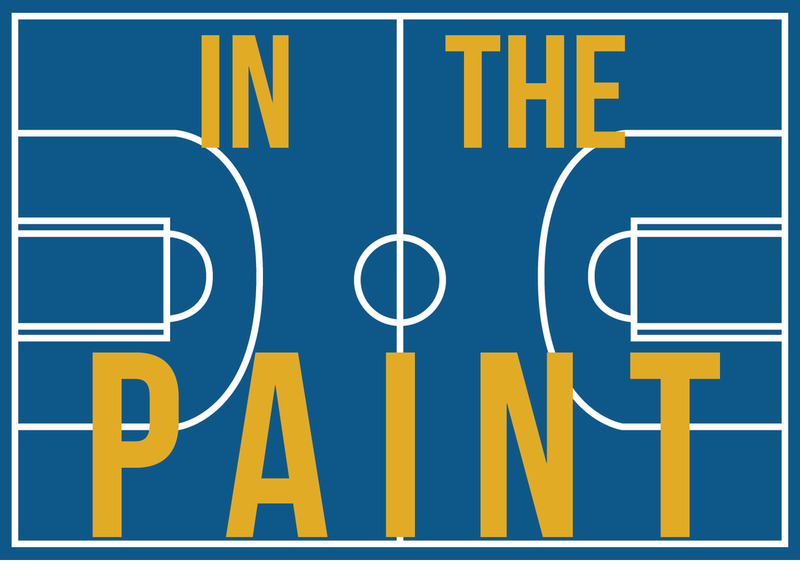 Despite their success in the conference, there was a sense that UBC wasn’t prepared to play at a national level. 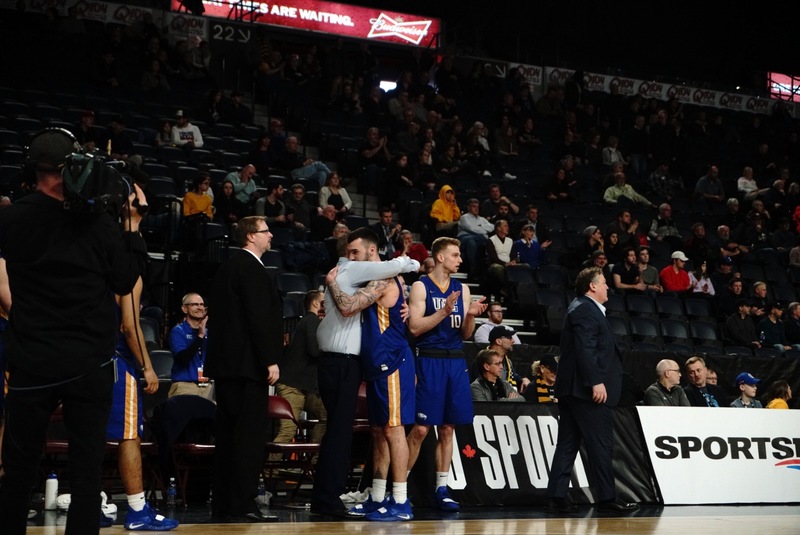 The pressure of the underdog status, combined with the foreign environment and brutal Dalhousie crowd made for a challenging opening round game at nationals for the T-Birds. The loss to the Tigers was made all the more heartbreaking in a close match-up where the team knew they weren’t playing their best basketball. The team played tight and missed their opportunities, letting a very winnable game slip away. It was a forgettable performance, and one that easily could have paved the way for an early departure from the tournament. But the team took the floor for the consolation semifinal looking much more relaxed, and much improved — with eyes set on finishing the tournament with a pair of wins instead of a premature exit. Every moment they got to play was also invaluable to the development of their young core, and they weren’t about to give that up. The team knew that championship-calibre dynasties don’t materialize overnight. 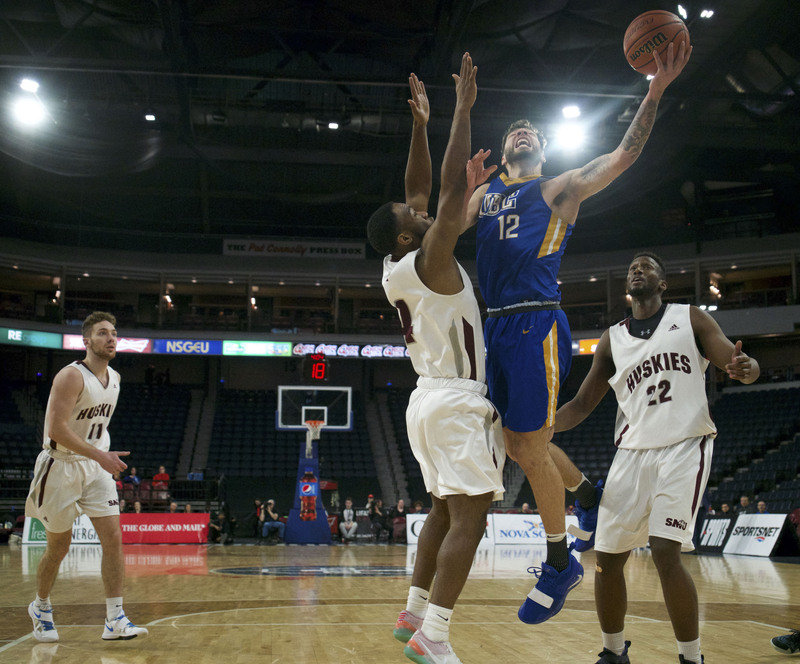 Of the eight teams to reach the tournament, only UBC and Concordia were without a trip to the Final 8 over the past two seasons, as each of the other six teams have been regular contenders on a national level. Concordia, in their first visit to nationals since the 2011/12 season, fared far worse than UBC, losing both of their games by double digits. For the Thunderbirds, finishing the year the undisputed fifth-ranked team in the country should be taken as a victory. They closed out the year with two resounding victories on nationals hardwood and are a better team for their efforts. Much of the core returns next year, with experience under their belt and looking to build upon what is their first of many years together. For now, the team will turn their attention inward, as the season winds to a close. With the departure of Simon, the team loses a cornerstone of their roster that has been a reliable piece of their puzzle for multiple years now, and the roster’s five rookies will have to say goodbye to a graduating senior for the first time. But despite the bittersweet moment, Hanson and the team know that the future is in good hands.